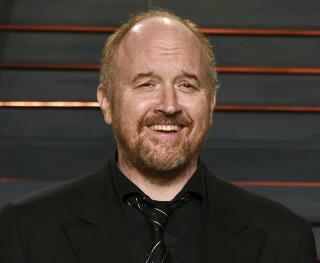 (Newser) – Louis CK put on another unannounced show at the Comedy Cellar in New York over the weekend, but this time a female heckler is stealing all the headlines. During a lull in the routine as CK was checking his notes, Klaire Randall yelled, "Get your d--- out," reports Vice. As Randall recounts it, the comedian made eye contact with her and said, "What? "—she and her boyfriend were near the stage—and she repeated the slam, with an added f-bomb for emphasis. At that point, an employee came over to the couple and told her she couldn't yell at the comedians. Randall tells the Cut that the employee "motioned toward the door," and the pair walked out. "It was not a forceful getting-kicked-out, but it was heavily implied," Randall says. "It was very much like: 'Your tab is covered, go.'" The people that jeered at her are a bunch of perv apologists. They don't matter. How are you masturbated in front of without consent? You just stand there and watch,, without giving the nod? They wanted it!